Alexander Baldwin is a brilliant physicist, determined to unlock the secrets of the Universe. Yet his scientific training is at odds with his youthful exploits in the realm of imagination, fantasy and magic. A renowned physicist, married to the sweetheart of his youth, all seems fine in his life. 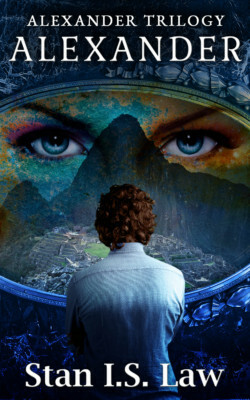 But a journey to the top of the mysterious Machu Picchu mountain introduces a voice from his past that returns to claim her proper place in his life. As the echoes of his adolescent jaunts demand recognition, his mind and emotions are on a perilous collision course. Join Alexander on a mind opening adventure in the world of science, fantasy and paranormal experience. A carefully crafted and thought-provoking fantasy that will grab you from its very first page.